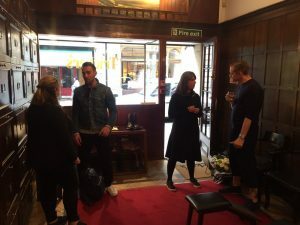 On Tuesday 25th April, we hosted the Tricker’s AW17 press day at the brand’s historical store in the heart of St James. Seasonal collections are still a relatively new departure for the classic Northampton-shoemakers. This presentation featured several new men’s ranges including one inspired by Sir Edmund Hillary and his team of intrepid explorers who climbed Everest in the 1960s. 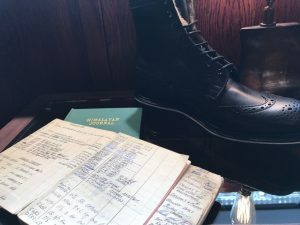 The Himalayan range was conceived when an log book featuring the actual order by Sir Edmund and his team was discovered amongst the Tricker’s archives. 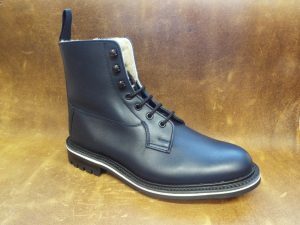 Each of the three new styles features a shearling interior, a white through on the welts and have a longer upper for protection. Another new collection features kudu leather. Inspired by a classic and well-loved pair of boots found at the Northampton factory, each length of kudu leather features imperfections sustained by the African antelope during its lifetime. 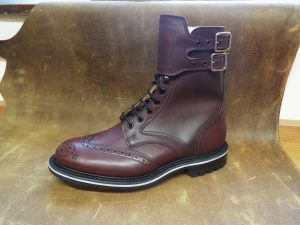 Scratches, mosquito bites, thorns etc, all add to the patina of the fabric and ensure no pair of shoes or boots are the same. Editors in attendance were able to view these new lines alongside the current season and the brand’s hallmark designs which have inspired shoemakers world-wide.